Thoroughly updated, this crisp nailhead shirt has a silky feel and a wrinkle-resistant finish for exceptional non-iron performance. 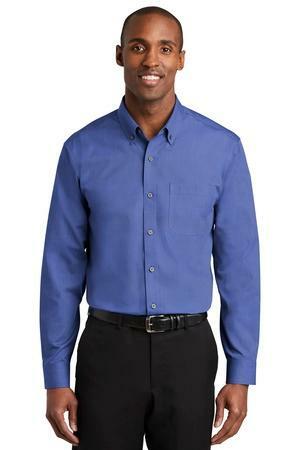 4-ounce, 60/40 cotton/polyester with pucker-free taped seams and RH engraved buttons to elevate the office-ready look. Button-down collar, left chest pocket, back box pleat and mitered adjustable cuffs.